TODAY! Get the Kindle Goldbox Deal! Vote Again?! My Dear Hamilton is a Semi-Finalist! Friends! Stephanie and I are beyond thrilled that My Dear Hamilton is a semi-finalist in the Goodreads Choice Awards! This is all thanks to YOU for writing us in on the opening round! Now, we really need you to vote again in this new round. 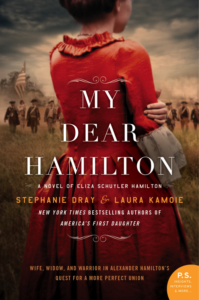 Review My Dear Hamilton & Get a Free Book! Please Vote for My Dear Hamilton! Hello friends! Just a quick note today to ask you for a favor! 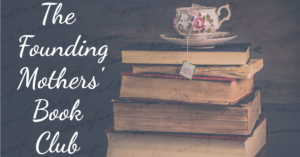 Every year, Goodreads recommends some of the best books in the genre. Stephanie and I need your help to put My Dear Hamilton into the semi-final round of the Goodreads Choice Awards! Win a Hamilton Gift Set! You could win a Hamilton Gift Set in the Maryland Romance Writers’ annual online auction! There are lots of fun things available for readers and writers.